Through elegant theories and investigations, Fiske is one of the most impactful social psychologists of all time. Her continuum model of impression formation, her stereotype content model, and her theories of power and ambivalent sexism have each had a major impact on the field. Distinctively, they synthesize seemingly opposing viewpoints in the literature, showing how each approach holds under specifiable circumstances. Thus, her theoretical work and supporting studies bring integration as well as novel insights to the field. 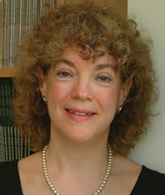 Fiske is perhaps best known for her work on how people choose between category–based versus individuating impressions of other people. Hers was one of the first dual–process models, and one of the first to contrast automatic and controlled processing. Her theory of power as control highlights how powerful people often unwittingly stereotype subordinates. Her ambivalent sexism research demonstrates benevolent as well as hostile prejudices. Building partly on that work, her stereotype content model reveals that the dimensions of warmth and competence account for substantial variance in intergroup and interpersonal perception, judgments made in a fraction of a second that appear to be culturally universal. Her methods range from brain imaging to laboratory experiments to representative sample surveys. Fiske has an extraordinary teaching and mentoring record that extends internationally. Her work has also had real world impact. Her expert testimony in discrimination cases, cited by the U.S. Supreme Court, attests to her impact on policy. Fiske’s dedication to social psychology is unparalleled, and she has served the field in numerous generous ways. Read about Fiske’s award address presented at the 2009 APS Annual Convention in San Francisco, CA, USA.